See and buy Vixen Polarie Star Tracker portable astrophotography mount at our Hertfordshire UK based showroom or buy online with Free Delivery. 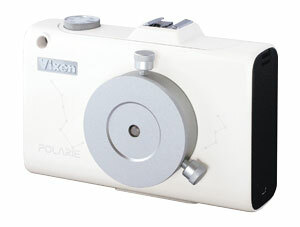 Allows for precise polar alignment for long exposure astrophotography. For use with VS-443D tripod. Universal 1/4" thread fitting.